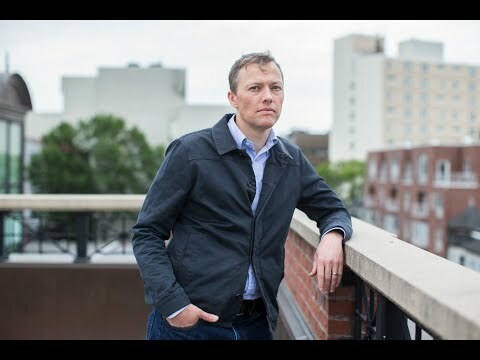 Matthew Desmond, the John L. Loeb Associate Professor of the Social Sciences, and Beth Stevens, an assistant professor of neurology at Harvard Medical School and neuroscientist at Boston Children’s Hospital, have been named MacArthur Fellows. Matthew Desmond, the John L. Loeb Associate Professor of the Social Sciences, and Beth Stevens, an assistant professor of neurology at Harvard Medical School (HMS) and neuroscientist at Boston Children’s Hospital, were named MacArthur Fellows today. Tackling what he called “some of the most morally urgent questions of the day” is Desmond’s goal. He said he was literally floored when he got the call that he had won the award. “I was at my desk in William James, and I sat on the floor,” he recalled, overwhelmed by feelings of both shock and gratitude. As MacArthur Fellows, Desmond and Stevens join two dozen others from a variety of fields who also won awards today. The fellowships are given annually in recognition of significant originality and dedication, and come with no-strings-attached grants of $625,000. Recipients are nominated anonymously and don’t know they are being considered until they are notified that they have won. Other winners with ties to the University included Heidi Williams, an economist at Massachusetts Institute of Technology (MIT) who studies health care markets and who earned her doctorate at Harvard in 2010, and Peidong Yang, an inorganic chemist at the University of California at Berkeley who specializes in nanowires and who earned his doctorate at Harvard in 1997. Desmond said that the so-called “genius grant” couldn’t have come at a better time. His teaching and research focus on urban sociology, poverty, race and ethnicity, organizations and work, social theory, and ethnography. He just finished his fourth book, “Evicted: Poverty and Profit in the American City,” which will be published in March, and is beginning two projects. One will continue his work on housing, looking at eviction on a global scale, and the other will examine the child welfare system. A California native who was raised in Arizona, Desmond said his second project will be more domestic in focus, looking at child welfare systems in the United States. For Stevens, her research deals with a critical immune cell found in the brain, called a microglial cell. Until recently, that cell was thought only to protect the brain by reducing inflammation and removing foreign bodies. But Stevens showed that the microglial cells are also responsible for an important step in brain development: the removal of excess connections as young people grow and develop. Babies, Stevens said, are born with lots of extra synapses in their brains that get trimmed and pruned as they grow, learn, and experience the world. This process ensures that the brain’s wiring is as efficient as possible and, if something goes wrong in the process, may lie at the root of some adult neurological diseases, such as Alzheimer’s or Huntington’s disease. In addition to working to understand the normal developmental process, Stevens in recent years has turned her attention to what happens if the process goes wrong. She sees two possibilities, both of which her lab is beginning to explore. In the first, the normal developmental process goes awry, resulting in aberrant brain wiring, such as is evident in disorders such as autism and schizophrenia. In the second, researchers are exploring whether the process, normally shut off in adults, might be turned on again, resulting in the loss of synapses and brain function, as seen in diseases such as Alzheimer’s and Huntington’s. Stevens said she became interested in neuroscience while a graduate student at the University of Maryland. She began working in the lab as the understanding of glial cells was evolving from a belief that they mainly provided structure for the brain’s neurons to where their functional roles were becoming apparent. She furthered her exploration of microglial cell function at Children’s Hospital, where she has a lab of about 15 staff, fellows, and students whose enthusiasm and talent she credited for the much of the lab’s success. Stevens was in her office, working on a grant application, ironically, when she learned that she had won the MacArthur. Even though the call came two weeks ago, it still doesn’t seem real to her, she said, at least in part because she was sworn to secrecy and had to go about her business before it was announced today. Stevens received her bachelor’s degree from Northeastern University in 1993 and her doctorate at Maryland in 2003. After spending time as a postdoctoral fellow at Stanford, she came to HMS and Children’s Hospital. 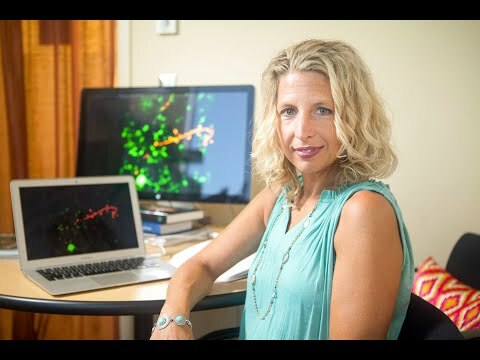 She is also an institute member of the Broad Institute of MIT and Harvard. “Stevens is redefining our understanding of how the wiring in the brain occurs and changes in early life, and shedding new light on how the nervous and immune systems interact in the brain, both in health and in disease,” the MacArthur Foundation wrote in its award announcement. Stevens said she is still pondering about how best to use the award money, but said it will almost certainly be used to give her flexibility, and allow her to spend more time in the lab, and with her family. Reflecting on how her high school biology teacher helped her onto the path to her rewarding career, she said she wants to mentor more young scientists. “It’s going to open up some flexibility and options: more time in the lab and less time doing what I don’t want to do,” Stevens said. “Despite the financial challenges facing a large percentage of families today, Harvard remains accessible for students from all economic backgrounds,” said Sarah C. Donahue, Griffin Director of Financial Aid. It is Harvard's endowment that has created the stability and flexibility that allows it to provide financial aid to more than 64 percent of students in the Class of 2019.